Being a bride is perhaps one of the most wonderful, yet sometimes anxiety- inducing times in a woman’s life. With so many appointments to go to, decisions to be made, and a little thing called life that also seems to get in the way at the most inopportune times, it’s no wonder that brides often fall victim to bridal anxiety! During my travels, I meet to many wonderful brides who are experiencing way too much stress during what should be one of the happiest, most fun times of their lives! Read below for my top 5 tips for preventing bridal anxiety. 1. Go for variety. When making your appointments to try on bridal gowns, make sure to choose a store with a variety of designers and silhouettes. This may seem overwhelming at first, but trust me, it makes life a lot easier! 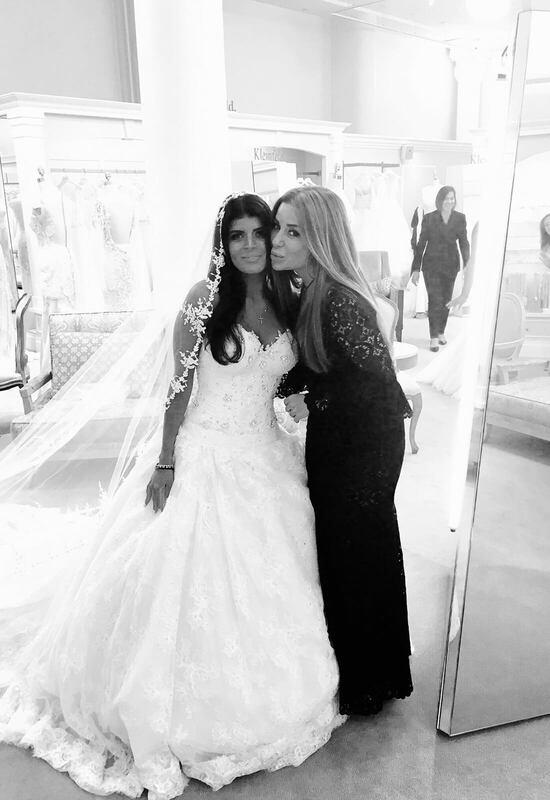 Instead of running from bridal shop to bridal shop, it helps to have many gowns to choose from and all in one place! 2. Pick your people wisely. When you do decide its time to find the gown of your dreams, be sure to be discerning when choosing who to invite to your appointment. While more is often merrier in many situations, I find that most brides experience a great amount of stress when they bring a large group of people to their appointment. More people means more opinions, which can make it more difficult to decide what is right for YOU. I recommend keeping your group small and bringing people who have your best interest at heart. 3. Don’t forget about yourself! When the stress is piling up, don’t be afraid to take a break from it all and do a few of your favorite things that help you relax. Whether that means phoning a friend, going for a manicure, getting a massage, or my favorite, lighting your favorite candle, don’t feel guilty for taking some time out for yourself! Being too stressed all of the time will negatively affect your sleep schedule, your health, and even your relationships, so take some time to rest and recharge on a daily basis. 4. Break in those shoes. Shoes can be an absolute nightmare if you don’t break them in before the big day! At my wedding, I had a horrible shoe experience. Because I didn’t break them in beforehand, my shoes broke me! 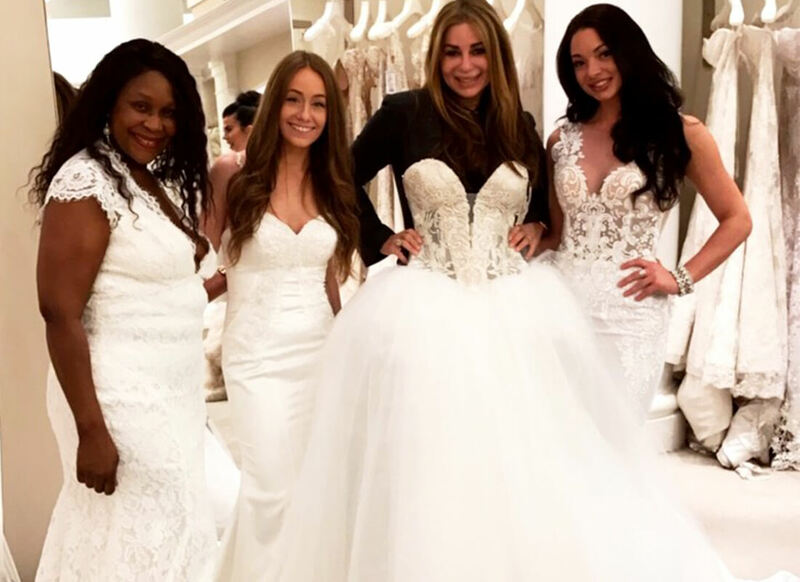 When I started designing my own Pnina Tornai Shoe Line, I used this experience to create a beautiful, yet comfortable line. 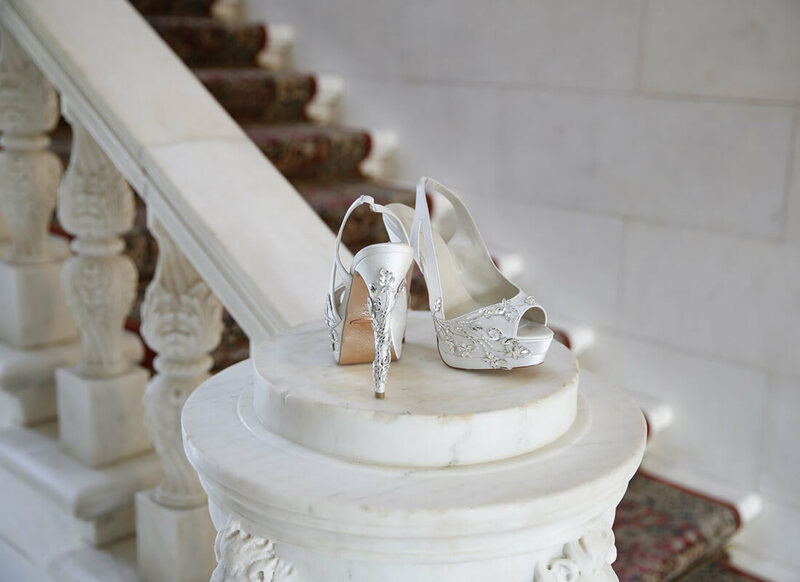 Not only can we embellish the shoes to perfectly match your Pnina Tornai gown, but they are also lined in soft suede and have cushions to make it as though you are walking (or dancing) on a cloud all night long! But no matter how comfortable your shoes may seem, make sure to wear them around your house or apartment so they have a chance to mold to your feet and loosen up in all of the right areas! 5. Enjoy the process! Last but certainly not least, make sure to enjoy the wedding planning process because it will be over before you know it! Once the dress and the venue are taken care of (which often tend to be the most stressful tasks), you can begin to tackle all of the other planning with the help of your bridesmaids, friends, and family. Remember to always stay hydrated, to eat healthy, and to stay active as well. When you feel good, you will be less stressed. If you do plan on getting any kind of skin treatments done, it is best to schedule them to take place three weeks before the wedding in case you have a reaction to the treatment. Also, be careful if you are in the sun to avoid tan lines and to always use sunscreen, and if you opt for a spray tan, go for a trial before the wedding to nail down the correct color for your skin tone. To all of my brides, I hope you remember these 5 tips when you start to get stressed! Remember that things may not always be as smooth as you have hoped, but at the end of the day, you are marrying your best friend and the love of your life, which is the absolute best thing that can happen! Happy planning!